(Seychelles News Agency) - Single ladies and gents are invited to have a bit of fun and participate in an auction for a Valentine’s Day date – all for a good cause. Gran Kaz, an entertainment centre, is this year joining forces with ‘Make a Child Smile’ to host a charity auction. ‘Make a Child Smile’ is a community-driven organisation that helps children in difficult life situations. Clifford Mondon -- a business development manager -- is the brain behind it. 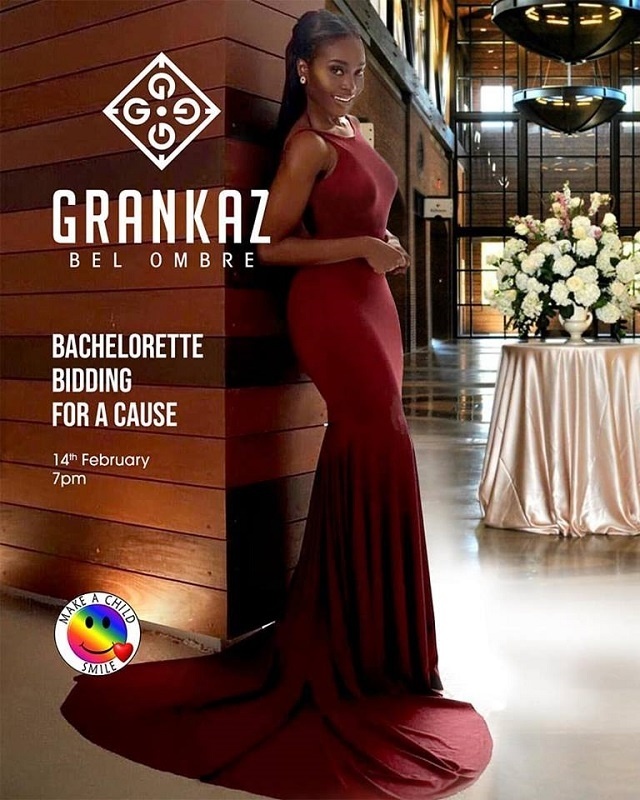 Expected to take place on Valentine’s Day, February 14, at Gran Kaz Bel Ombre, the charity fundraising will offer bidders at the auction the chance to win a date with one of the ten bachelors and bachelorettes who will be participating. The concept came about as an idea for a fun activity for singles on the most romantic day of the year, explained the public relations and communication manager at Gran Kaz, Shama Amesbury. “Most places offer romantic deals for couples, we wanted to do something for those who wanted to celebrate the day, but didn’t have anyone to celebrate it with,” added Amesbury. Gran Kaz is sourcing for vouchers from establishments for brunch, lunch or dinner for two, which the bachelor and bachelorette will randomly pick. The audience will have a chance to bid on that date with the bachelor or bachelorette of their choice. Once a person wins a bid, he or she can organise with the person they bid on to set a date and time for the outing. Only the one date is guaranteed by the auction but should the two wish to see each other again, they are free to do so. “Mostly it’s just for a bit of fun, but who’s to say that we don’t actually play cupid and help match-make some lonely souls in the process, all the while raising funds for a good cause,” said Amesbury. The entertainment centre chooses to partner with Make a Child Smile as the latter is starting a new programme in collaboration with the Seychelles Broadcasting Corporation (SBC) called ‘Dreams and Wishes’. Through ‘Dreams and Wishes’, Make a Child Smile will be focusing on making a child’s wish come true. "The aim of the project is to infuse hope, create happy memories, and improve the quality of life, through non-medical assistance, for children who have chronically life-threatening conditions and disorders, have experienced life-changing physical or emotional traumas or have suffered major abuse,” said Mondon. Make A Child Smile in collaboration with SBC along with the help of the public and sponsors, will grant wishes for children aged 3 to 16 years who fall in the above category. Gran Kaz is helping to raise some of the funds they require to make these special moments happen. The programme will be aired at the end of every month and a different child will be featured each month. The first episode will feature 10 programmes, running from the end of February to the end of November. “The time when a child has a wish granted will be a moment that will be treasured by them for the rest of their life. That magic moment will allow children and their families to forget, even if just for a little while, the fear, pain and suffering that they go through on a daily basis,” said Mondon. The Valentine’s Day auction will kick off with a barbecue platter at 7 p.m at the cost of $22 (SCR300). It will be followed by the charity auction with the participation of beautiful ladies and dashing young gentlemen, led by auctioneer Sylvie Ah Time, also known as Madanm Franchement, from K-Radio.